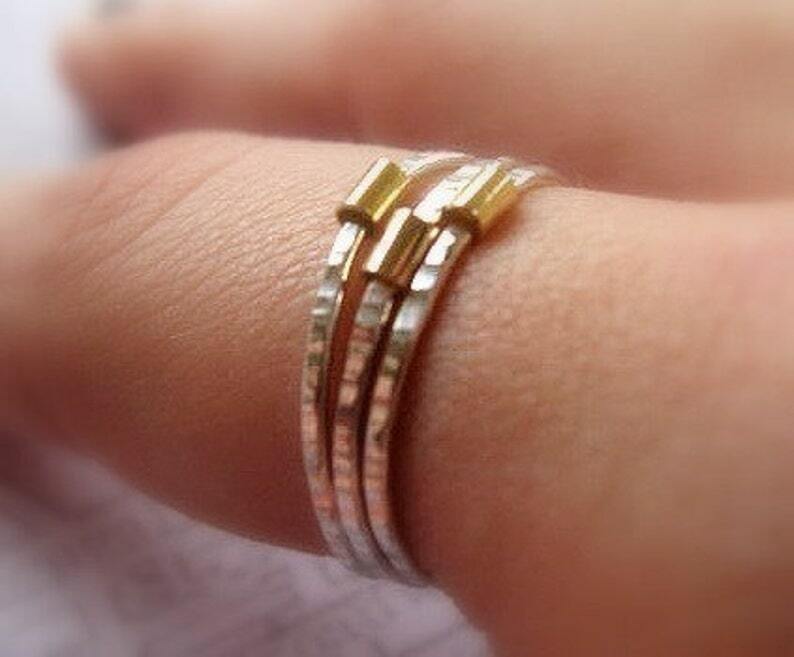 A new twist on my favorite stacking ring! 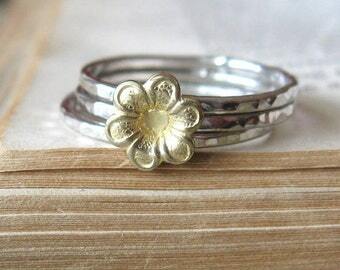 Still the organic, hammered ring in sterling silver but with a tube of 14kt gold filled that spins around the ring. So much fun to fiddle with! This listing is for three rings. They are handmade to order in my studio in your size including half or quarter sizes. 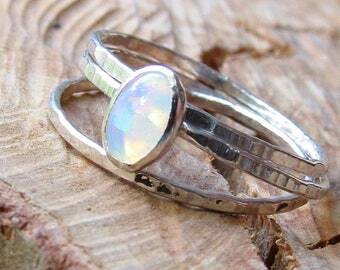 These are high polished sterling silver and the light really bounces off them like they were faceted. 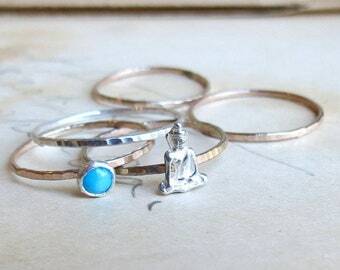 These measure about 1-1.5 mm wide and are meant to match and be worn with the other thin stack rings in my shop. 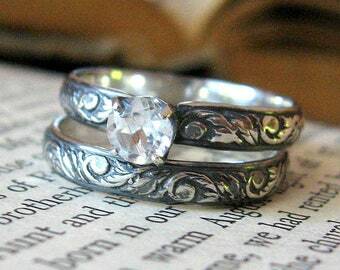 As always if you don't know your ring size just contact me and I will email you a ring gauge. 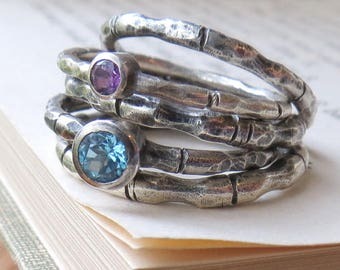 These rings are made to order so please allow 6-7 business days from ordering for fabrication before it goes out in the mail. 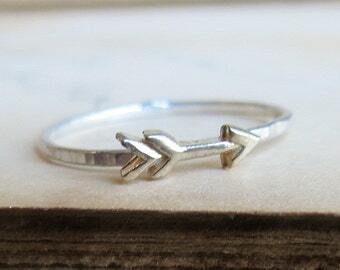 This dainty ring ships out First Class both domestically and Internationally. Please read my policies page for lots of additional information. 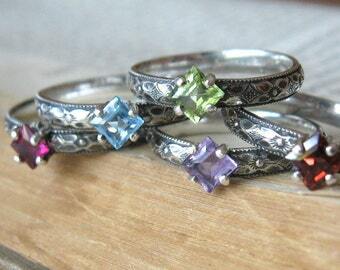 Beautiful stack rings and a great value for the money. The designer/seller updated me during the order process and the package was delivered on time. Would recommend!